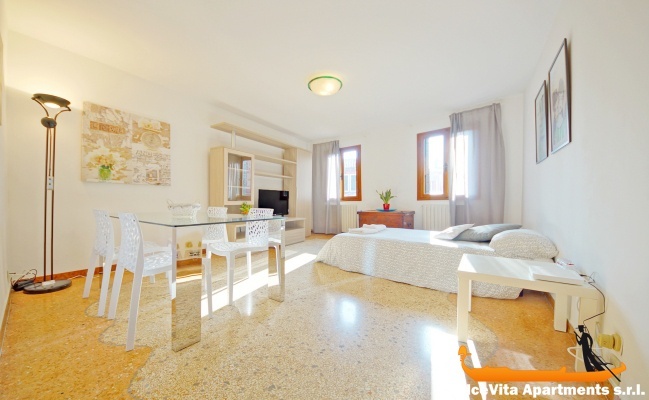 Apartment N. 97: It can accommodate up to 5 people, it is rented from 974 € per Night (not per person). 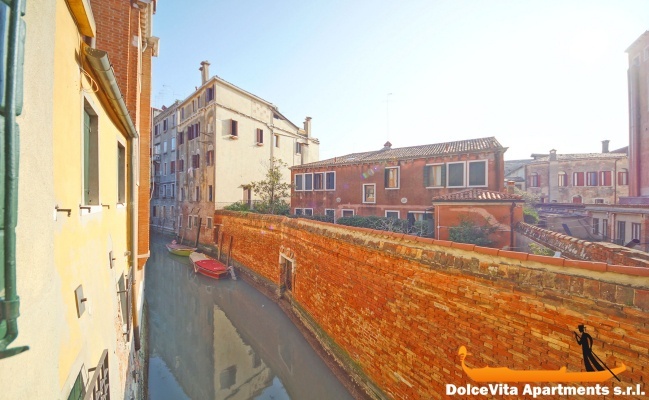 The apartment is situated in the centre of Venice, in the famous district of San Polo, it is on the first floor and it is furnished with classic style. It takes place on a surface of 85 Square meters and it can accommodate up to 5 people. 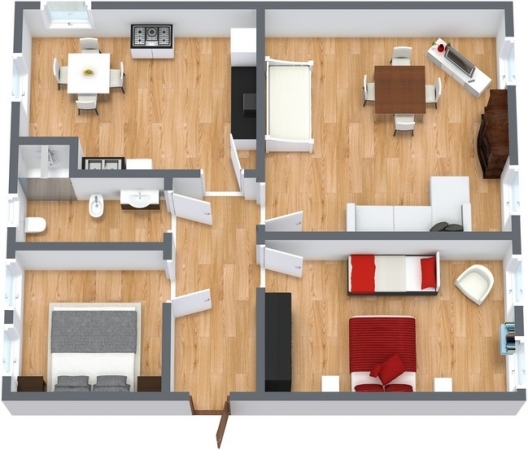 The two bedrooms are bright: one is triple and the other one is with twin beds. The living room, spacious and comfortable, furnished with table and chairs, has also a comfortable sofa and a TV. 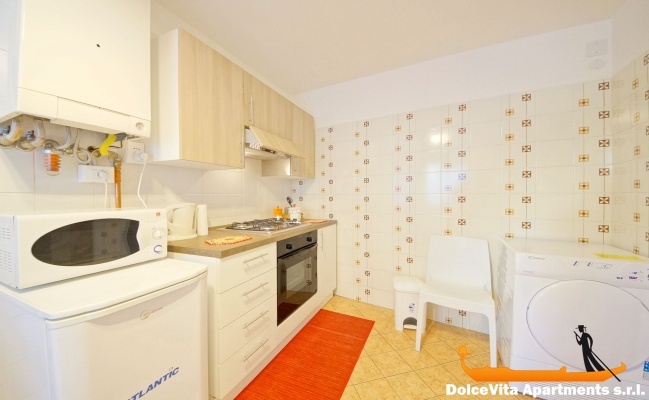 The kitchen is fully equipped with oven, refrigerator, toaster, kettle and microwave. Finally, there is the bathroom with shower and a window. 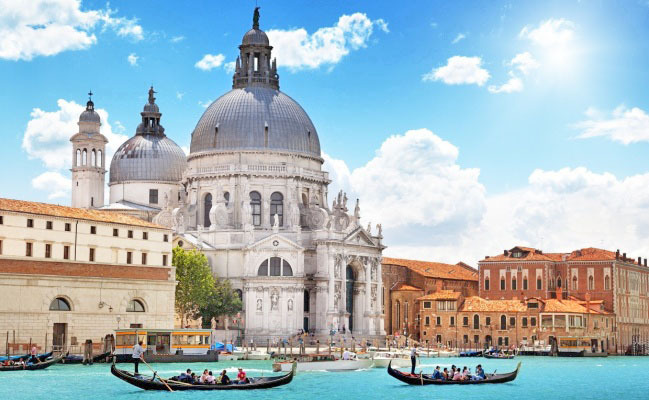 The train station of St. Lucia, car parking, Roma square are 5/6 minute walking far, and the churches of San Rocco and Frari are even closer. 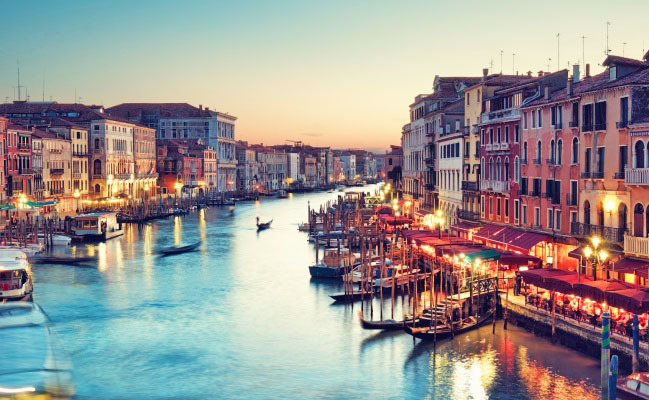 You can reach Rialto Bridge and St. Mark's Square by walking (less than 15 minutes). The apartment is well located and comfortable. Apartment very spacious, comfortable, very nice, very clean, we enjoyed our stay and even our guests had a great time and I also made a great impression, so much that they asked me the site where I booked, very easy to reach location, we felt truly at home. Never seen such a professional service !!! from the first moment despite I evaluated other sites, appartamenti-a-venezia.com immediately proposed to me more appropriate solutions to my expectations, as they always followed me step by step until I arrived in the apartment, always in touch by e mails, text messages, and phone calls, I never felt lost or abandoned. We were welcomed even already before arriving in Venice, where Sig.Maria although the apartment had been released recently, made us sit by placing the bags in between time that they were finishing the cleaning, she has shown us everything perfectly, making herself available for whatever we needed. Person truly competent and very kind during our stay, the Mrs Maria has not abandoned us and she has always been extremely available with all of us. Congratulations. Thank you so much all your staff, especially people who have dealt with me: Mrs. Mirka, Mrs. Maria and Mrs. Eugenia. 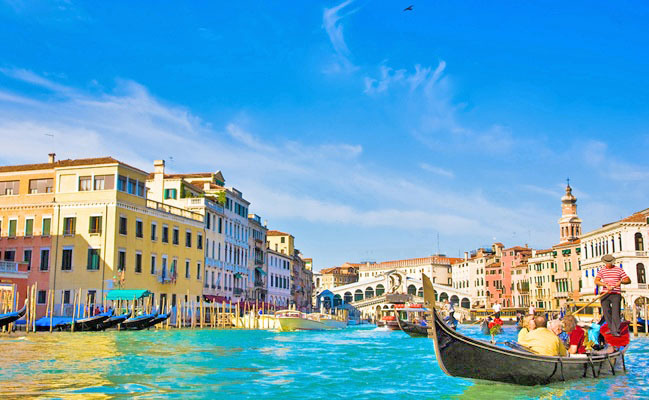 certainly when I return to Venice I will do it through your portal. Good big apartment, spacious and well distributed, it would be important to renew the tools kitchen but otherwise excellent. 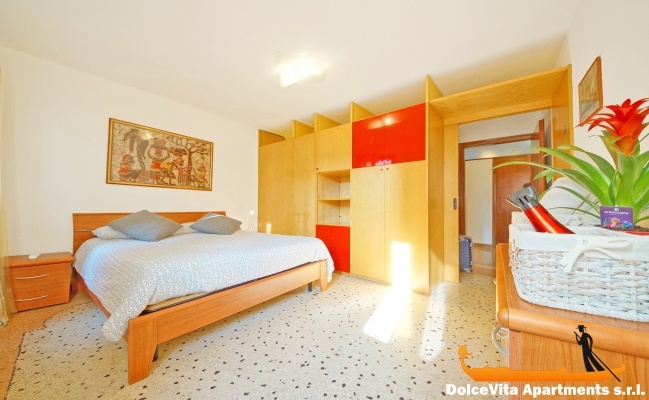 Ideally located in san polo, 1st floor, very convenient, quiet and close to Piazzale Roma, but in the apartment rented for 6 not enough dishes, no cloth, a little table and bedding average. Though we liked our stay. the service was very fast and friendly (a bit light on arrival) and facility to start, we could leave quietly without problem. we will start this kind of stay if we have the opportunity. Thank you for the very warm welcome and easy steps, it is a very good place for rental. 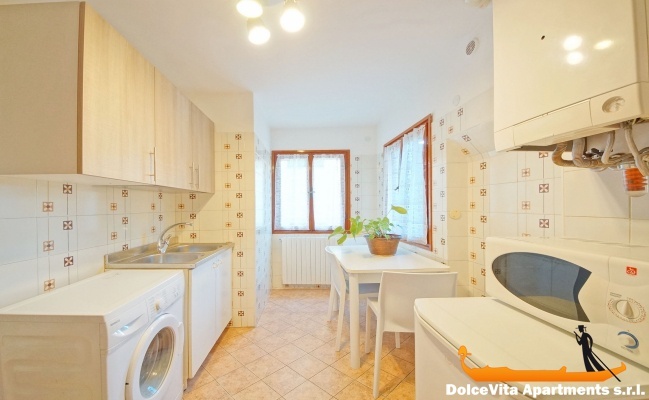 Apartment well located near the train station in a quiet, in accordance with what is advertised on the internet ad. Again thank you we spent a great time thanks to the apartment. It was nice. The hospitality of Mrs. Maria was really appreciated. We asked for a coffee machine a little smaller and it was quickly given us.